Sedona Public Library serves as the heart of the community; a special place where the past is honored and future dreams are nourished. 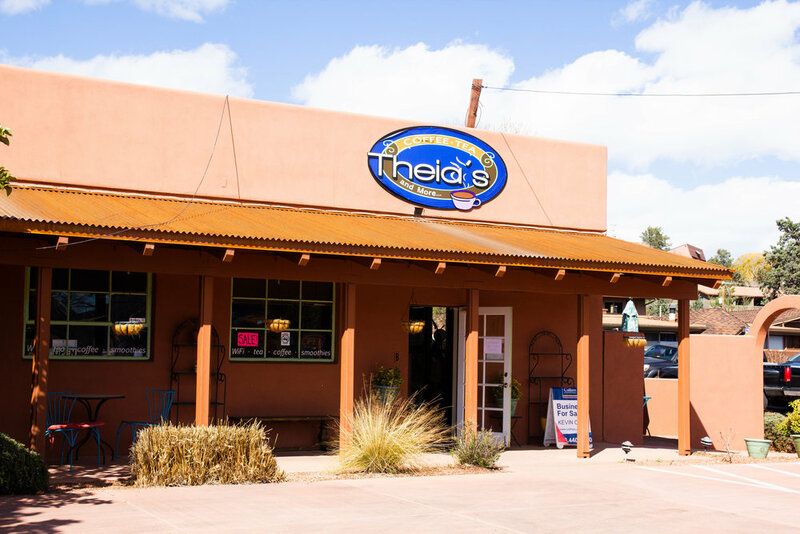 Theia’s is your perfect stop for organic coffee & espresso drinks, organic teas, fresh fruit smoothies, delicious pastries, and more! Books for sale. This cafe is fictionalized in J.A. Jance's Alison Reynolds series is set in Sedona. The Sedona Heritage Museum has storytellers and poetry readings. Welcome to The Literate Lizard, your local bookstore located in the heart of the Sedona, AZ area. We are your go-to book club that offers a diverse selection of books for all ages and skill levels. Whether you are looking for children's books, or vintage books, The Literate Lizard has something for all genres. The Worm Bookstore has been serving Sedona since 1962. We offer new and used books as well as incense, gifts, reading glasses, greeting cards and more. Adventures Unlimited Books is a full service general bookstore. That means we carry every kind of book from best sellers and all types of fiction, to children’s books (a huge selection), regional books on Native American and Western history, guide books for birds, animals, and plants of the area, dictionaries and other reference books, history and politics, cook books and more categories. White Light Crystals, Books, and Angels is a New Age, Spiritual and Metaphysical Bookstore that is a unique resource to anyone searching for inner knowledge, angelic wisdom and spiritual growth. The gallery has on display for browsing and purchase a curated collection of 5000 significant and out of print books with a focus on Art, Metaphysics, & Native American Culture.